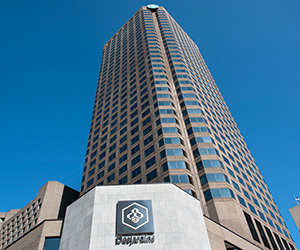 Desjardins Securities is the brokerage firm of Desjardins Group, the trusted financial institution for more than 100 years now. In addition to being the leading cooperative financial group in Canada and the sixth largest cooperative financial group in the world, Desjardins ranks among the world’s strongest banksFootnote 1. So when you entrust the management of your portfolio and your wealth to our investment advisors, you can be sure that you are dealing with one of the safest brokerage firms in the country. Assets under management of $275.1 billion. More than 7 million members and clients. More than 45 000 employees in Canada. More than 40 points of service in Quebec and Ontario. More than 350 investment advisorsFootnote 3 ready to serve you at all times. Close to 600 employees to support them. Assets under management of over $31 billion. According to The Banker magazine, november, 2016.